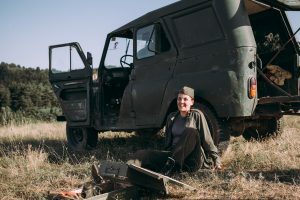 Pece Zdravkovski won the People’s Choice Award for the FilmConvert Short Film Competition 2018 with his war film ‘Dogs of War’. We were impressed with the scale and level of production value Pece was able to achieve on a low budget, including real military vehicles! I’ve dropped out of university to pursue a career in video and mainly multimedia. I’m a freelancer that mainly does work on Design and Animation, however, I try to find the time and do some music videos and film stuff whenever I can. 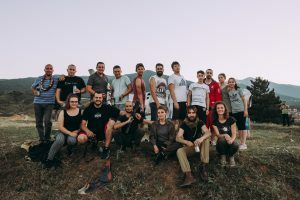 Since video work is not really well-paid in Macedonia, I have to do a bit of everything to support myself, and once I gather some money – I spend them on making a short film. This is my second short film. How did your film idea come about? We’re developing an idea for web series for almost 3 years now. This was supposed to be episode 1; however, after many changes (around 50 versions), we decided to do this. 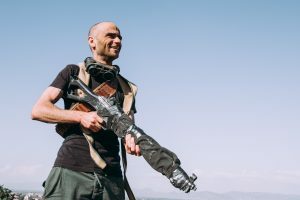 I can’t say I’m satisfied with the story, as it is nowhere near to what we planned – but I guess that’s how it is in hobby-no-budget-film-making. Hopefully, our initial idea will get light in the following 2019. Can’t really remember, it’s been so long. I think it was a youtube showcase… Before I was using LUTs, but when I tried this thing – it changed everything! I wasn’t into coloring that much before FCP, it lead to learning DaVinci, a lot of work opportunities and what not. What made you choose FilmConvert for this particular project? A few reasons: Easy to use, works really really really well with Sony Log footage, the film grain is so detailed, the color profile is the closest you could get to a film look… so many reasons to use it. I can actually write a 500 words essay on why would one use FilmConvert rather than anything else. We wanted something “really yellow”, something that would capture the look of a wasteland, we weren’t going for the natural look at all. To a point we wanted it to look like it was an old Yugoslavian movie(hence the ex-yu planes, and the Russian jeep), something from the 80s. We used Sony A7s with Atomos Shogun Flame, the Sony A7s is indeed an “outdated” camera, but with Atomos the refreshing 4K DNxHD (or ProRes if you prefer) breathes life into it. 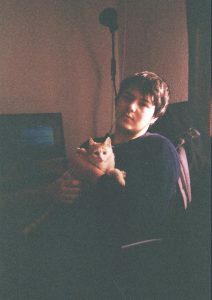 Once we filmed, we did the mistake of not making proxies, so we had trouble with the editing. The first thing we did was a new node with the FCP LUT FJ 8563 RL, and then in between I denoised, touched the brights and the contrast. In some places we used the Liquefier and a custom tracking, to fix sharpness and skin tones, as well as add some light into the eyes. It was quite a simple grade, as most of the film was shot at the “Golden Hour”, so it kinda looked good with the FCP LUT only. 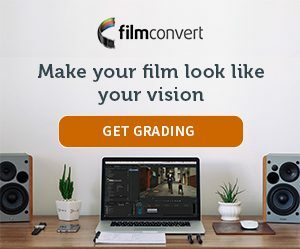 We used DaVinci Resolve for editing and coloring (it is free!, and now thanks to FilmConvert we have the studio version!). We were shooting 5pm in summer so we had to use ND filters, turns out – Sony A7s doesn’t like NDs. So somehow we had a lot of noise, and we “rented” a studio to use DaVinci’s denoiser – other than that, we only used digital stabilization, everything else is the traditional cut.